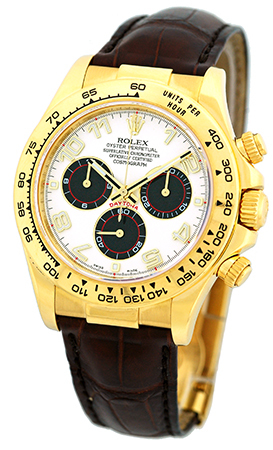 Certified Pre-Owned New-Style Gent's 18K Yellow Gold Rolex "Daytona Cosmograph" Strap watch. 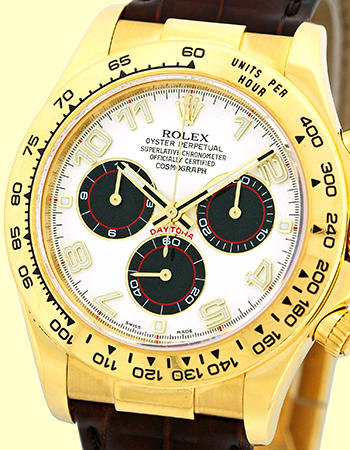 White/Ivory Dial with Black Subdials and Red Accents (PANDA Dial), Gold Luminescent Hands and Arabic Hour Markers, Subsidiary Second Hand. 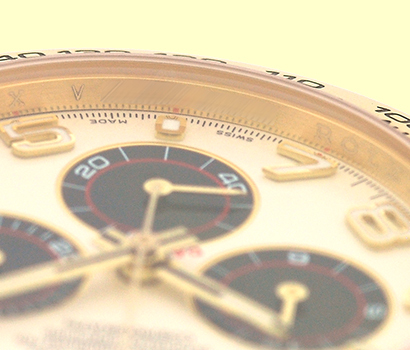 18K Yellow Gold Tachymetre Bezel, Chronograph Functions, and Sapphire Crystal. 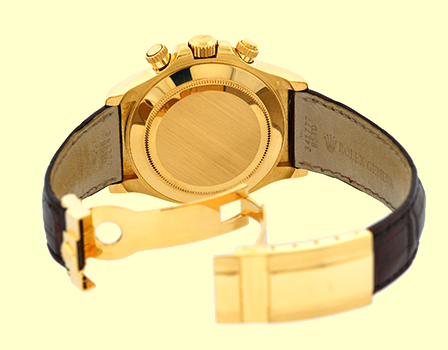 Highest Quality Rolex Brown Crocodile Strap with 18K Yellow Gold Rolex Flip-Lock Deployant Clasp. V Serial, Circa 2008-2009 Production. 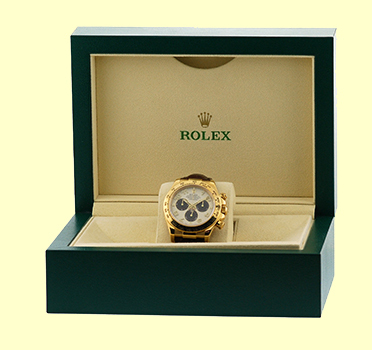 Like New Perfect Condition with Rolex Box, Booklets, Hang Tag and complete with Capetown's Lifetime Warranty! !